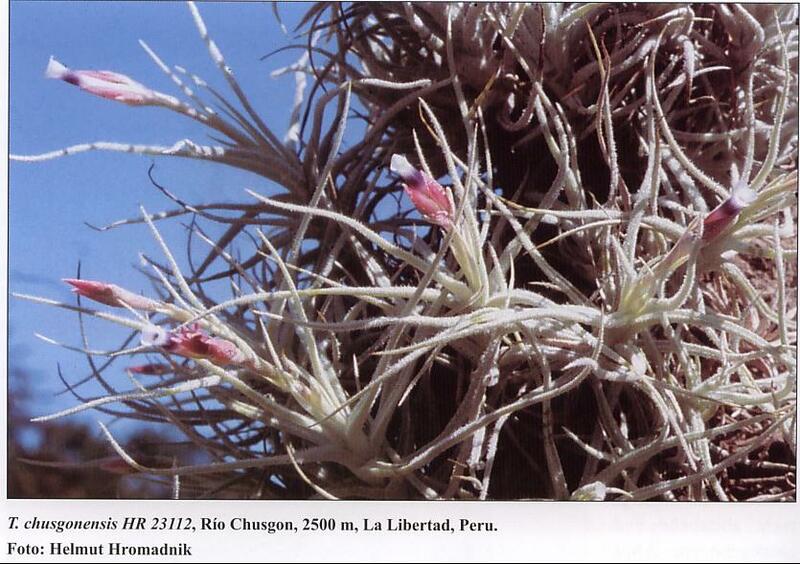 * This plant is in circulation as T. balsasensis. Ken Woods as balsasensis. 09/08 Helmut Hromadnik, from Lotte's book. 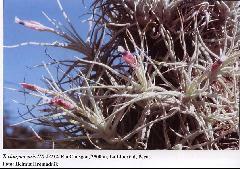 * This plant is currently (09/08) being discussed by the Tillandsia group. (Derek Butcher) "There were several mounted Tillandia to look at and smell! One that caught Adam's and my eye was a plant that Len had brought in clearly with the wrong name. We knew that Len had brought in Lotte Hromadnik's book on the T. tectorum group so he could announce this fact to the world but we beat him to it. You see we have been growing T. balsasensis for many years in Adelaide having scrounged spare pieces from Maurice Kellett in Melbourne. 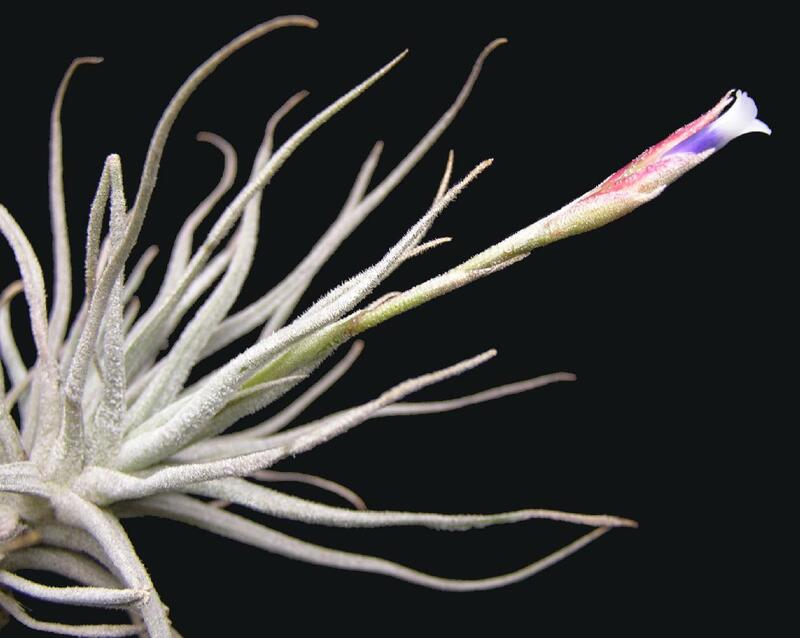 I had flowered my plant years ago and in my butchering could not link it to the name. It went into the too hard basket. When Margaret & I were translating Lotte's work for her, we stumbled across this T. chusgonensis and although not an exact fit for OUR plant is was very close indeed. So if you have ever scrounged a T. balsasensis from Len or Maurice Kellett remember the new name!" Chris Larson also reports that, "Some of you have this from Maurice, as did I and I also got a good clump from Clarrie Borsch, many years ago. Clarries and Maurices plants seem the same. Many of you will also have pieces from me. Those of you with the plant T.balsasensis should look at the SA Newsletter and at Lottes green T.tectorum book."